About a week ago I put in an offer for a block of land and it was accepted. I sign the contract in four days. Over the past week I have spent a lot of time compiling quotes for various services I need to use over the coming months. I need a conveyancer or solicitor. I need a geotechnical survey. I need a soil percolation test. I soon discovered a flaw in google, trying to search for these service providers. Type in, say, “Conveyancer Adelaide”, and beyond a handful of legitimate listings you get a list of directories. Truelocal. Yellow Pages. Whereis. The same happened for geotechnical surveyors, soil percolation and land capability assessment, concreters, building surveyors… Turns out, and I say this in shock, but the Yellow Pages website was the most helpful one-stop directory for each of these trades. As someone that runs a service business, I have always, perhaps irrationally, shunned Yellow Pages, thinking that google is king. And it is for me. My website ranks tremendously well on the keywords it services. But it’s not all dandy. I started to call** geotechnical engineers. About half the phone numbers were no longer in service. About half of what was left weren’t actually in the business of providing soil tests for footings and foundations (they had been mis-categorised) leaving a quarter of the initial list as legitimate companies that could provide me with a quote. About half of those – a whopping 3(!) were nice enough to do so. Business must be good. To not return calls. To not send emails that you promise you would send. To blatantly turn away business like that. It must mean that they don’t want the business at all. And prices reflect that. Want to earn some money, kids? There are tonnes of opportunities out there. ** I wasn’t even going to bother emailing. It would seem email isn’t a legitimate form of communication for Australian trades people. It’s been a mad couple of weeks. I have been very busy with work and other activities and the property search has changed forms somewhat. I am going to be honest. My interest in Victoria has waned. Regular commenter here, Sam, asked me in an email a few weeks ago whether there’s a chance I would feel lonely living so far away from everything and everybody in West Wimmera. I was quite defensive initially but my mood changed. It’s a huge thing I am taking on. It’s a huge change of life. And as much as West Wimmera is only a 4 hour coach trip from Adelaide it’s a 4 hour coach trip from Adelaide! Financially and time-wise not something I can do on a whim. Short story, I went and viewed a block a lot closer to Adelaide last weekend. Much different than what I have been looking for but good nonetheless. It is smaller, 1/2 acre, and based in a tiny village but it provides for my needs. Public transport is regular and cheap. The village has a pub and a post office. Services are 20km to the east and west. And the price is right. What’s more, the First Home Owner Grant I am entitled to will almost offset the cost of buying the land and building a small straw bale house on it. This combined with the fact that it’s an easy weekend or day trip out to the block means that I can ease into this lifestyle a lot better. I can be experimental. And, if I change my mine, or want to buy somewhere else, I am much more likely to profit from the investment. I attended Annemarie and Graham Brookman’s “Introduction to Permaculture” course yesterday. 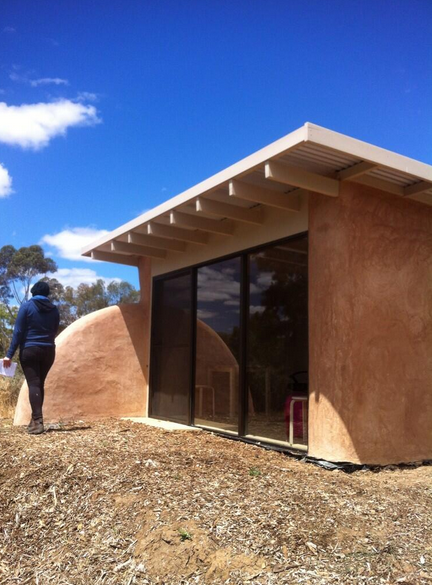 The course is located at their 15-acre permaculture farm, the “Food Forest”, near Gawler, South Australia. I had a wow of a time. Annemarie and Graham are extremely knowledgable and personable. Graham has a wicked since of humour and a quirky enthusiasm – often getting carried away with his impersonations and paraphrases. 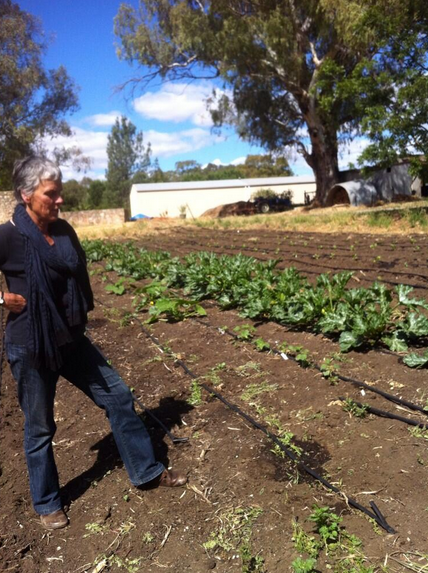 Annemarie explaining the market garden and why they plant in rows at the Food Forest. What they bring to bear is a successful and sustainable farm. What really stuck out to me was their willingness to adapt. They have learnt many lessons over the years and have made changes to their approach where necessary. They have recently started experimenting with Jujube. Not because it is a trend and they want to cash in on it, but because it suits their property and will likely prove hardy as the climate continues to change. That said, it will be a lucrative market. As Graham explained in one of the workshops, not value-adding has been of huge detriment to Australia’s farming complex. We tend to dig it and grow it, then ship it. At mere dollars a tonne. The recently-built straw bale studio overlooking pistachios and walnuts at the Food Forest. Apparently the Brookman’s have received some criticism from permaculture purists as to how they designed their property. You won’t find your conventional, multi-layered food forests or mandala beds there. Orchards are orchards and the market garden is planted in rows. Why? Efficiency. Why make it harder than it needs to be? It is an operational commercial farm after all. There is no doubt about the biodiversity at the property. Species of plants are in the hundreds and everything has a place. The presence of abundant wildlife (sans foxes and rabbits) prove this. I haven’t said much about the course in this brief review because the Brookman’s story says it all. They have applied the techniques they preach and the property shows that they work. The course was informative, inspiring and I took a lot from it. I am keen to do the Permaculture Design Course next year to help me with designing my own property. One important point that I took away with me was not to put all your eggs in one basket. That seems to be at the heart of Annemarie and Graham Brookman’s success. Listen to the environment and tweak your approach and be prepared for what might come your way. Because of this they don’t only enjoy a yield but a veritable surplus. If I offered to pay $95,000 for something you’ve been struggling to sell for years for $75,000 (and will probably have to discount further) but the one condition is that I will pay you 10% now and the rest over 8 years, what would you say? I wrote a post today posing a challenge to the author of a blog I read. That blog is very different than this one and most others I read. The author is a local fellow who has vastly different interests. And that’s okay. I like reading about the happenings of his life and the film reviews he occasionally writes. I am sure he likes people reading it. The author enjoys shopping. From his writing, I’d say it is one of his hobbies. He writes a lot about shopping with his mother. Buying various things. Making a day of journeying to malls. That’s his thing. It’s not for me. I have strong views on what I think this sort of consumerism is doing to the planet and people. But those things aside, the challenge I gave him was meant with a light-heart. I challenged him to a month of buying nothing new. I have tossed up the idea myself and will, one day, give it a go. Perhaps if this fellow took up the challenge I would have joined him. We could have both written about it from very different perspectives. We all go on about trying something new. I alerted the bloke to the challenge via Twitter – the realm of conversation – and was met with a less than expected response. To his wishes I have taken the post down. He saw my act as one of sabotage. As mean-spirited, it would seem. As an outlet through which I aimed to change him to his detriment. I’m known for being a bit pedantic. I spend far too much time pouring over data and plugging it into spreadsheets. But it’s something I enjoy and adds value to my property searches. Knowledge allows me to feel in control. Without it I am filled with self-doubt and uncertainty and feel as though it is an uncalculated risk. With it I can make sound decisions and back myself up. 1. Find a property of interest. I’ve used a plethora of sources to find property. The major real estate sites (Domain and Real Estate), Gumtree, eBay, real estate agent sites (e.g. Professionals, Ray White, etc), word-of-mouth, roadside ‘for sale’ signs, wanted ads, Grassroots Magazine – the list goes on. The major real estate sites have been the most help and I am on them most days searching newly listed properties. Gumtree is great, especially if you want to deal directly with vendors – cutting out the middle man and potentially reducing the price. Once I have found a property I ask a million questions. 2. Ask questions. Lots of questions. What is the land zoned? Are there any planning overlays that may impact on development? What is the public transport like? Is there a general store or pub or supermarket? If not, how far is it from amenities? What’s the soil like in the area? What are the people like – are they like-minded or pitchfork-wielding red necks? What have other properties in the region sold for? How long has this property been in the market? What’s the climate like – summer temperatures, rainfall? These are just some of the questions I research for every property that catches my fancy. I attempt to answer them a number of ways. – Planning Maps Online (PMO) – PMO is my favourite site. It’s jam-packed with useful tools and information. By typing in an address I can see what the zoning is, whether there are any overlays that may restrict what I can do with the land (e.g. whether it is bushfire or flood prone, sensitive indigenous historical site, etc), the dimensions of the block, etc. – Council websites. All council websites have a section of planning and building. – PT Victoria – Public transport is hugely important to me. I check whether there are services that runs near the property. – Google Maps – Great for viewing satellite images of the property, seeing it in Street View, and researching the surroundings. – Google – I google things like “[town name] general store”, “[town name] pub”, and so on. It’s interesting how many times I have googled to see whether the town has a store to discover a real estate listing for the general store, or the pub. – Bureau of Meteorology (BOM) – Currently, I live in the driest state in the country. Our rainfall is quite low by Eastern state standards. The idea of living somewhere comparably dry doesn’t bother me too much. BOM has a nifty function that allows you to export historical climate data – temperatures, rainfall – into Excel which helps to sort and compare data. Mostly I use it to check average annual rainfall and maximum summer temperatures – few places I have checked get as hot as Adelaide in summer which is nice. – Community pages – A lot of towns have their own community home page. These websites are useful for general information about the town and often give a historical rundown. Many have email addresses to local people that may be helpful. I have emailed a number of folk this way and have struck up a few new friendships. – Email and phone – I contact real estate agents, people I discover through associated webpages (members of local community groups, etc), business owners – anybody that I can find the contact details for who may be able to share a bit more information about a town or region. 4. Weigh up the features. Once I have answers to my questions I tend to rank the property in a spreadsheet I designed. Weightings are given from 1 to 5 (1 = poor, 5 = excellent) on such things as public transport, climate, prettiness, soil, community, amenities, closeness to Adelaide, and so on. The higher the rating, the better the property. The cream of the crop, I go and view in person. These are the properties that really tick the boxes. As I live so far away, it’s important that I get the most out of these visits – I can’t be travelling 1200km return to see a property that was never going to work. 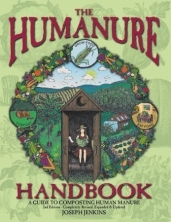 I discovered that there is a free online (.html) version of the bible of composting toilets, The Humanure Handbook. It can be found here. 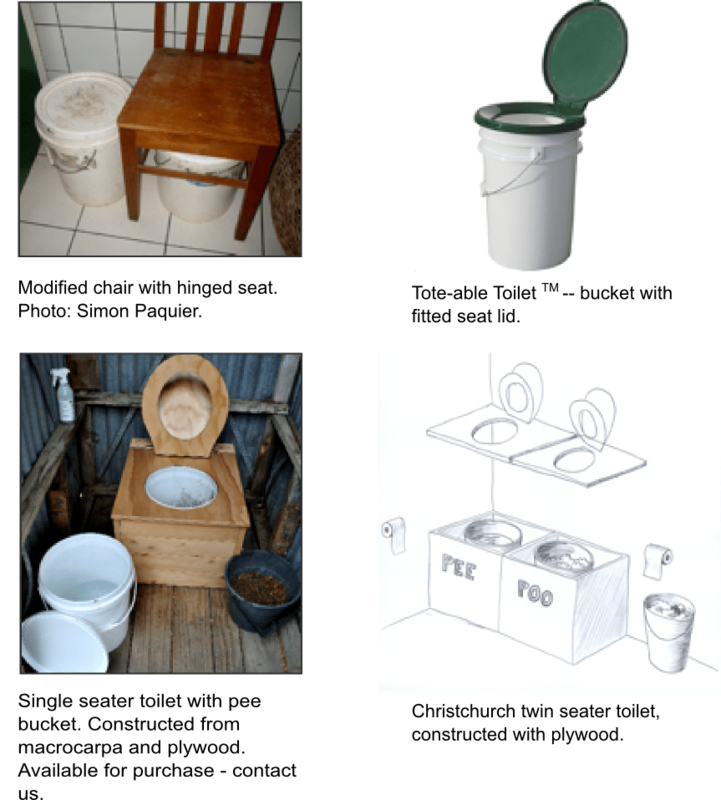 Different composting toilet designs, including the Christchurch twin-seater. how to build a composting toilet. Unlike a lot of sources, they discuss both pee and pee.